In 1986, only 50 nations traded electricity across national borders (early GENI history). Today, we regularly report on new electrical interconnections in every continent between friend and foe. As a small research and education institute, our job has been to provoke policy-makers, utility executives and investors to understand the economic and social benefits of energy cooperation (see 25 years of GENI History in one page). Our sustaining Donors, who make this possible. Equally exciting for us is our move to a new, bigger location in downtown San Diego. We’ll be in the heart of the City, so you can easily visit any time. [Use the Civic Center Trolley Station right across from City Hall.] We will help you help others to visualize energy solutions in this immersive environment. Our goal is to accelerate the speed and scale of renewable energy integration around the world. In this new space we will host collaborative events, strategic planning and network receptions. We already have 40 interns from Europe, Asia and the U.S. scheduled to work with us this summer! 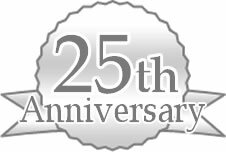 During this 25th Anniversary, I invite you to help us grow and have an even greater impact. Would you consider a contribution of $25 a month, $250 a month, $2,500 or $25,000 or more? We promise to leverage your support towards making our world a better place for all. p.s. Share this with your utility, business & community leaders and policy-makers. Challenge them to act now! p.s. We invite your support of our work. It’s easy with our secure Support page.